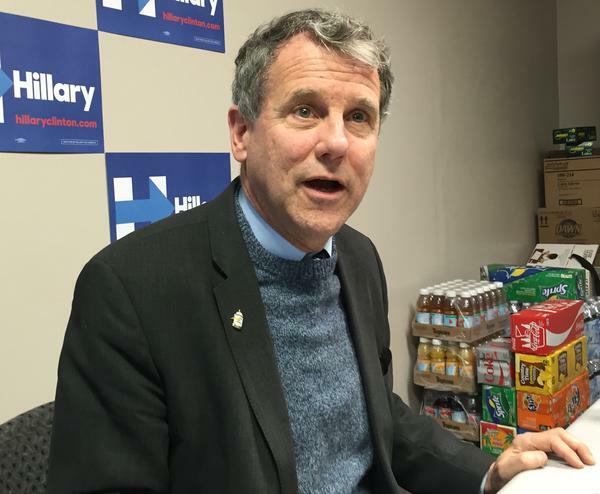 Ohio Sen. Sherrod Brown is launching a tour of three states that cast pivotal early votes in the 2020 presidential primary. The move from the Democrat is a key step before he decides whether to launch a campaign for the White House. Brown won a third term in November on the strength of a message he calls the "Dignity of Work." He plans to use that motto for his forthcoming tour. It includes stops in Iowa, New Hampshire and South Carolina, as well as a kickoff in Cleveland. The 66-year-old has yet to decide whether to join a 2020 primary field that is expected to include as many as a half-dozen of his fellow Democratic senators. Brown said he and wife, Connie Schultz, are likely to make a decision on a presidential run in March. Ohioans who receive food stamps are getting February's benefits this week. U.S. Agriculture Secretary Sonny Perdue asked states to issue Supplemental Nutrition Assistance Program aid no later than Jan. 20 for the nearly 40 million Americans in the program. The Trump administration said SNAP will be funded through February despite the partial federal government shutdown. State authorities are cautioning recipients that the early-arriving benefits aren't a bonus and they need to budget them to last until their assistance cards are loaded again in March. An intensive care doctor ordered "significantly excessive and potentially fatal" doses of pain medicine for at least 27 near-death patients in the past few years after families asked that lifesaving measures be stopped. The Columbus-area Mount Carmel Health System is being sued by a family alleging an improper dose of fentanyl actively hastened the death of one of those patients. The system said it has fired the doctor, Willian Husel, and removed 20 employees from patient care pending further investigation. Husel was a supervised resident at the Cleveland Clinic from 2008 to 2013. The Clinic said it's conducting an investigation of his work. A day after announcing he’s signed with a talent agency, former Gov. John Kasich said he joined CNN as a political commentator. In a tweet on Tuesday, Kasich said he will begin immediately as a regular contributor. Kasich ended eight years as governor on Sunday. The Ohio Republican is a frequent critic of President Donald Trump and is considering another run for president in 2020. Akron city officials have extended a $1 annual lease with the Akron Zoo for the next 40 years. The Beacon Journal reports zoo officials said the city receives an $8 return in local economic impact for every $1 spent on the zoo. The city also receives $2.5 million in annual income taxes. The lease extension allows the zoo to apply for $500,000 to add more exhibits through next year. Browns quarterback Baker Mayfield has been named Rookie of the Year by the Pro Football Writers of America. Mayfield broke the NFL single-season rookie record with 27 touchdown passes and finished sixth in all-time passing yards. Mayfield is the first Browns quarterback in more than 50 years to throw at least one touchdown pass in 13 consecutive starts in a season.